The National Youth Leadership Training program is an intensive week-long summer experience for upper-ranking Scouts. Each participant works as part of his new Patrol and Troop through a week of indoor and outdoor challenges, with the mentoring of the highly skilled youth staff. Participants are equipped with the basic skills necessary to become leaders in their Troops, communities, and future professions. During the seven days, program will range from geocaching to knots instruction, sports games, realistic first aid practice, overnight backpacking trips, interpatrol competitions and campfires. Each part of the program is carefully prepared and used as a hands-on tool to teach fundamental leadership concepts. An orientation at the beginning of the week and a graduation ceremony at the end round out the experience. Since its establishment in 1980, the NYLT program has built a strong legacy of service and leadership. An NYLT is now held in almost every scout Council across the nation; the course for youth in the North Florida Council is held each summer at Camp Shands in Hawthorne, FL. For an application, please click here. 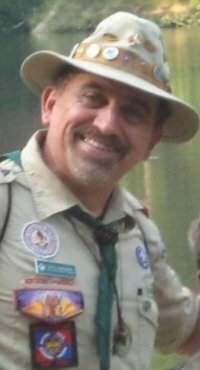 If you would like to contact this year’s Scoutmaster, Jose Lepervanche, please click here. If you would like to contact this year’s SPL, Jon Koch, please click here. Previous Florida State College: What do you want to be when you grow up? We can teach you!! !